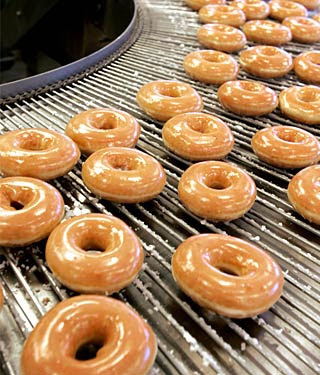 Is it true that a Krispy Kreme only has 5 points? It seems like they would have more. Yes, an Original Glazed donut from Krispy Kreme is counted as 5 points on Weight Watchers. The nutrition facts are available here on their website. According to the site, a glazed donut contains approximately 200 calories, 12 grams of fat and 1 gram of fiber which makes the point value 5 on Weight Watchers. I don’t recommend sitting around eating donuts everyday, but once in a while I do it. And I still like to know what I’m eating first. I hope this answers your question..
My dear readers…If you have a question or a comment, feel free to e-mail me anytime!